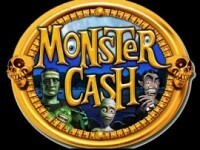 Play these Flash or HTML5 based online slot machine games provided by OpenBet at Top Free Slots. No download required to play the games - just click on the image and wait for the game to be loaded in your browser window. You can play all these OpenBet Slots for free or try your luck for real money at sponsored online casinos. You can play classic slots or 5 reel video slots with multiple lines of payout, exciting bonus features, and wild and scatter symbols to increase your winning potential. rr With its large jackpot and a lot of ways for win, OpenBet's Cash Machine is a video slot game that may provide very good and constant total return. By its symbols (Cherries, Plums, Lucky Sevens, Bells, and more), this is a..
Lucky Stars is a 9 payline online slot machine from OpenBet. rr Are you a fan of horoscope? Do you like watching the stars? Do you enjoy the cartoons? If you like at least 2 of these, Global Gaming.. This is a new 20 payline slot machine developed by OpenBet. Slots's main theme: Bejeweled. 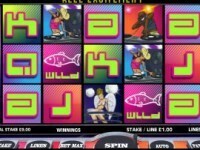 Hole In The Wall is a 20 payline slot machine game created by OpenBet. rr When you playÂ Hole in the Wall free slot, you may recognize the theme from a somewhat popular TV show by the same name. Even if you..
Treasure Island is a 40-payline pirate themed video slot machine. Trigger the Bonus Round and Scatter Pick by hitting 3 of the scatter/bonus symbols on reels 1, 3 and 5 only. Get ready to hunt treasures, attack evil..
Highlander is a 20 payline slot machine developed by OpenBet. rr Highlander is a video slot consisted of 5 reels, 20 pay lines and a variety of features including three bonus games. 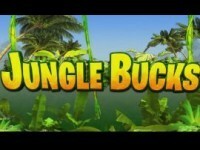 Whether you are..
rr The free online Jungle Bucks slot machine is a gambling video game developed by OpenBet. It has 5 reels with 3 rows and 20 paying lines that can be adjusted. The Jungle Bucks slot game has high-definition graphics.. This is a 9 payline slot machine developed by OpenBet. rr The Super Star slot machine game has been published by Bwin Party. It's a travel adventure turned into a machine. 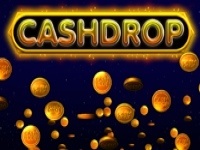 There are 5 reels, 9..
Cash Drop is a new 20 payline slot machine game created by OpenBet. Slots's main theme: Fruits. 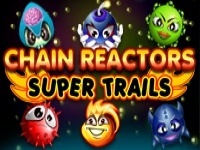 rr whg Chain Reactors is a 5x5 grid online slot with three progressive jackpots available. 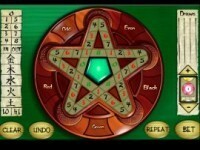 Match five or more symbols in a line or row to earn cash! The Triple Progressive Jackpots are: Maxi (won by 7+ Goldie icons..
Peperami Man is a 20 payline slot machine developed by OpenBet. rr The Peperami Man is that processed meat product which every other person out there likes enjoying. Why then can't people enjoy the same.. This is a 20 payline slot machine game created by OpenBet. rr The machine created by Fremantle Media is based on the talent show TV series. When you play X Factor slot, you can see that the graphics..
Pimp My Slot is a 20 payline online slot machine from OpenBet. rr Do you remember a car tuning show from the USA, that used to help people, back at the start of the millennium? It was called “Pimp.. This is a 30 payline slot machine developed by OpenBet. rr Set in the scenery of a popular British sci-fi TV show with a super hero with the same name, Captain Scarlett is a new OpenBet's video..
China Shores is a 20 payline slot machine game created by OpenBet. rr China Shores slotÂ machine online ensures an exciting time due to its interesting twists, innovative bonuses and huge chances to win.Â .. This is a 20 payline online slot machine from OpenBet. rr Free online Egyptian Gold slot machine is a video game developed by OpenBet, GW Games. It has 5 reels with 3 rows, and 20 winning lines..
Super Cubes is a 50 payline slot machine developed by OpenBet. rr How About Enjoying a Bit of a Relaxed Feeling? Generally speaking, Super Cubes is an interesting free game slot of the classic fruit..
With all the appealing properties, Astro Fruit slot machine comes packed in the well-known 5x3 setup of 15 tiles, along with 20 paylines. The presence of both regular and astronomical progressive jackpots has shaped it..
rr The Diamond Goddess slot game is an online video machine brought to you by OpenBet in cooperation with Inspired Gaming. Developers decided to go for a winter themed slot, with mountain and trees in the background.. This is a 25 payline slot machine developed by OpenBet. rr The free online Sale of the Century slot machine is a video game developed by OpenBet, which has 5 reels with 3 rows and 25 modifiable..
rr The Fruit Classics Happy Fruits with its 3 reels and 1 payline reminds us of the way the first fruit machines used to look like - the way some players still prefer them to be, actually. However, it is a modern online.. This is a 20 payline online slot machine from OpenBet. rr The Good, The Bad and The Ugly is an OpenBet's video slot, inspired by the 60' movie that's starring the three famous movie characters..
Robocop is a 20 payline slot machine developed by OpenBet. rr Robocop is a 5-reel, 20-payline progressive slot, powered by the OpenBet software company. The machine's theme is inspired by the 80's.. This is a 20 payline slot machine game created by OpenBet. rr With this 20 pay line video slot, you will get back to the youthful tennis days when the rush of adrenaline gives you results. This.. Legally Blond Slot is a 15 payline online slot machine from OpenBet. rr The game is designed and offered by OpenBet - a company with a well-established reputation. In any case, it offers all the well-known.. 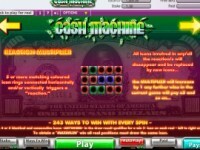 This is a 15 payline slot machine developed by OpenBet. rr Alien Autopsy is a particularly successful video slot brought to you by world's leading company OpenBet. The game offers thrilling..
Sci-Fi Invasion is a 9 payline slot machine game created by OpenBet. rr The Sci-Fi Invasion slot machine is a game created by OpenBet and Electracade. As the name suggests, the machine and all of the icons.. This is a 5 payline online slot machine from OpenBet. rr Today, you might be sitting in your office chair, the next thing you know you are in the Mediterranean. With Monte Carlo Millions slot..
rr The free Pachinko slot machine is the name of a Japanese gambling device adapted for the online casinos; it is some sort of a slot machine & pinball hybrid. To spin the reels, you first need to play of pinball..